The PP Blog writes about Ponzi schemes, pyramid schemes, securities fraud, cross-border scams (transnational crime) and issues pertaining to economic and national security. This Blog has been here for you since 2008, through 2,738 articles. 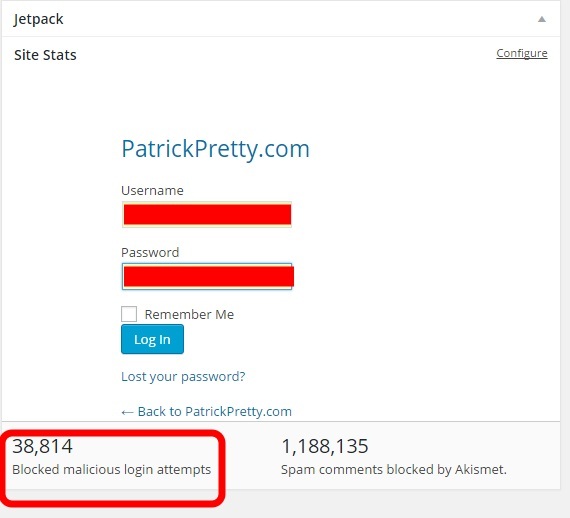 The graphic below shows blocked malicious login attempts here over just the past small handful of months. Be it random bots or individuals attacking WordPress sites in general or the PP blog in specific, it’s easy enough to see it all as attempts to blow out a candle and make the world a darker place. Among the current leaders in attempted candle-snuffing here are IPs that appear to originate in Iraq, Pakistan, Ukraine, the Czech Republic and the Netherlands. We do wonder about such things, for the same reason we wonder about how ISIS has come into possession of so many Toyota trucks. The blocked spam count is healthy too. we wonder about how ISIS has come into possession of so many Toyota trucks. Maybe they are fans of Top Gear? Tony H: The blocked spam count is healthy too. Was averaging about 65 per hour at one point in 2013.